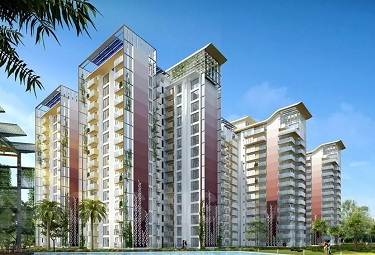 Hero Homes is a constituent of Hero Realty Private Limited, the real estate arm of Hero Enterprise, which is counted amongst the most reputed business groups in the country. The group is renowned for its innovative and customer-focused approach with an emphasis on sustainability. Hero Homes prides itself for developing elegant, contemporary and sustainable home solutions and creating a vibrant social community. The group has delivered 1.3 million square feet while 4 million square feet is ongoing. Each project of Hero Homes is marked with parks and greenery and is designed on reduce, reuse & recycle. It can be said that Hero Homes reflects the right blend of traditional and the modern in keeping with the ethos of growing India.It is for all the above-mentioned reasons that Hero Homes has emerged as one of the most reputed groups in the realty sector in the country. Judging by the popularity that the group is gaining, it can safely be said that the coming days will see its popularity grow even more.